Premiering today on Northwest Music Scene is a brand new video for “Dreamkiller” by a talented northwest band, Locomotive. LocoMotive is a young rock band out of Snoqualmie, Washington who claim on their Facebook page that they’re “three teens just messing around.” They have a heavy, drama rock sound and use lots of drops but it’s their youthful energy and fem-led vocals that provide their identity. Their new “Dreamkiller” music video is a 50’s-style, campy, murder mystery vignette. 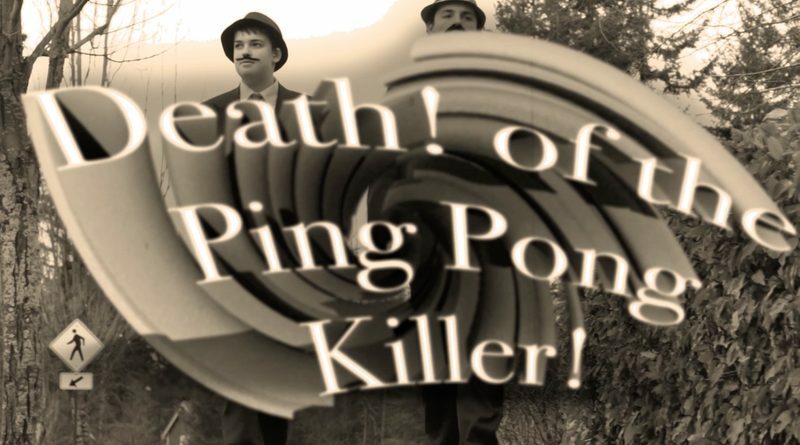 It follows two beat detectives on the comedic trail of a serial killer known as the Ping Pong Killer. The only clues they have to go on are the placement of a murder paddle in the hands of his victims and an inexplicable pile of oranges nearby. The two cops fail to find the killer until there is a break in the case: a mysterious stranger provides a critical clue. Check out the video to uncover the perpetrator in this short “whodunnit” film!